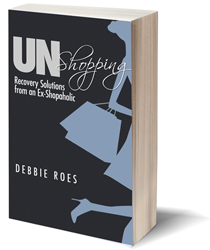 Before I delve into the topic of this post, I want to extend a warm thank you to all of those who purchased my first e-book, “UnShopping: Recovery Solutions from an Ex-Shopaholic.” Because of your support, my book reached #1 in the “Compulsive Behavior” category for Kindle books and stayed there for two days! Of course, that’s exciting and all, but the most important thing is that those who read the book get lots of value and helpful tips from its contents. If you’ve read the book and enjoyed it, please let me know, and if you have a moment, please post a short review on Amazon. That will help to spread the word and lead others to read it. If you haven’t read the book and would like to learn more about it, you can read my announcement from last week or review the book summary on Amazon. You can also check out today’s post on “Untitled Minimalism” reviewing my book. Now on to the main subject of this post, my accountability update for May 2014. If you’re new to “Recovering Shopaholic,” here’s the deal… I’ve committed to posting monthly accountability updates to keep myself honest and on track with my wardrobe and shopping goals. These posts include what came into and left my closet during a given month, what I wore, and how I did with my shopping budget and rules. These seven items left my closet in May 2014. I also let go of three workout/lounge tops (not pictured). In addition, I downgraded eight of my standard tops to the workout/lounge category of my closet, for reasons which I will outline below. In my last accountability update, I mentioned that I would be reviewing my summer wardrobe and letting go of some warm weather items, but I haven’t gotten around to doing that just yet. I also haven’t taken the time to do a second purge of my jewelry armoire (read about the first one here), but I hope to do that within the next week and write about it. A few of you have mentioned that you’d like me to write about jewelry and accessories, so I plan on doing some posts on those topics very soon, beginning with a debrief of my jewelry purging process. Black Champion jacket – This jacket was always too big for me, so I mostly wore it around the house. However, it collected lint and cat hair like nobody’s business and I could never keep it clean! My goal is to find a suitable replacement before the cool weather rolls around again. Black Raffini sandals – I bought these sandals last month, but thought they looked a bit “heavy” with my skirts and dresses. I have since found a better alternative (see below), so I returned these shoes to the store for a refund. Black and cream Born ballet flats – I love the way these shoes look, but they are incredibly uncomfortable to wear. I tried stretching them using a shoe stretcher, but the front part still cut into the top of my foot, causing pain and blisters. I still have the shoes, but plan to sell them on eBay this month. Grey Ecco sporty ballet flats – I bought these last year as a more comfortable alternative to standard ballet flats, but I never ended up feeling “fab” in them. I felt like they looked a bit “clompy” on my feet and didn’t like the way they looked with any of my pants. I plan to sell these shoes on eBay, too. Navy open cardigan – After several years of wearing open cardigans as part of my “uniform,” I’ve grown tired of this silhouette. Since I purchased a different style of navy cardigan earlier this year (a “boyfriend” style), I decided to retire this one. It served me well, but it’s time to pass it on! Navy C. Wonder boat-neck tee – I bought this top late last year back when I thought it was a good idea to have a lot of “basic” tees in my closet. I also liked that it was comfortable and that the 3/4 sleeves were long enough for me. However, my bra straps always ended up showing because the neckline is cut too wide. This bugged me, so out the top goes! Navy fleece jacket – This jacket was probably the most worn item in my closet – ever! I bought it on the cruise my husband and I took to Alaska in August 2005 and have worn it hundreds of times since then. So I’m actually getting rid of it because it’s worn out and past its prime. That isn’t a standard reason for me to purge wardrobe items, but it does happen (and will hopefully happen more often now that I’m shopping less). There are a number of other pieces in my closet that are “on the bubble,” so to speak, so I will likely get rid of more items next month. I find that it serves me better to do my wardrobe purging more gradually, as I am then less tempted to go out and buy new things to fill in the gaps. I am slowly becoming more accustomed to a smaller wardrobe and that approach is working well for me. In the past, I used to purge a lot of items all at once, but I think I often went too far beyond my “closet set point,” which led me to panic and shop to re-set the balance. Everyone’s mileage will vary, as the saying goes, but I’ve found that “slowly but surely” is winning the race for me in terms of decreasing the size of my wardrobe. I “downgraded” these eight tops to workout/lounge wear in May 2014. I won’t go through these tops one by one, but I do want to share a bit about my reasons for these downgrades. The three printed tops are no longer in pristine condition, but I still like the styles and enjoy wearing them. While I don’t feel comfortable wearing these tops as part of my standard outfits, I still like them enough to wear around the house or for one of my evening walks with my husband. As for the plain tees, I just had far too many of them in my primary wardrobe, as I wrote about in my last post. I may end up purging some of the excess, but since I let go of quite a few of my workout tees over the past few months, I decided to give my surplus plain tops “new life” by wearing them to the gym and on walks. We’ll see how that goes… I may end up releasing the two scoop-neck tees anyway (black and wine), as their necklines are a bit too wide for my frame. I have a few similar plain scoop-neck tees that I’ve kept in my closet pending replacements. I love the colors (cobalt, turquoise, and coral) and will likely still wear the tops, but my preference is to find alternate tops that are of higher quality fabrications and/or include interesting or special details. I will keep an eye out for suitable replacements and plan to purge or downgrade my existing tees as soon as I purchase new ones I like better. During May, I added two new items to my closet, a jacket and a skirt, as well as a replacement pair of black sandals (basically an exchange for the Raffini sandals I returned to the store). As I wrote in my April accountability update, I was “allowed” to buy three new items in May because I had made one return during April. My third item (the sandals don’t count as they were a replacement) was supposed to be the linen pants from Anthropologie that were on back-order since March. However, those pants arrived and they were not an “8” or higher on a scale of 1-10. Yes, I tried on the regular length in the store back in March, but either the fit of the pants I received is different or my style aesthetic has shifted over the past two-plus months. In any event, as much as I need new pants, I don’t want to settle! I have settled many times in the past and the items in question just don’t get worn. I will hold out for pants that I really love, no matter how long it takes. I added these three items to my closet in May 2014. Black embellished sandals: My photo of these sandals just doesn’t do them justice (see a better photo, as well as a fun video, HERE)! I have “fussy” feet, so it’s very difficult for me to find attractive shoes that don’t hurt when worn for more than an hour at a time. In my opinion, these sandals fit the bill. I can easily wear them for hours and I like the way the embellished strap adds an element of the special to what’s otherwise a basic shoe. I’m glad I didn’t settle for the black sandals I bought in April and instead shopped to find a better version during May. Black and grey striped knit moto jacket: I mentioned in my last post that I’d like to add some “edgy” elements to my style. While this jacket is not full-on edgy, it veers away from the classic style that I usually embrace. Plus, it’s comfortable, the metal detailing is silver (a strong preference for me over gold), and includes two of my favorite neutrals as well as my favorite pattern (stripes!). Yes, I know I have a lot of stripes in my wardrobe and I’ve vowed to cut back, but this jacket was special enough for me to make an exception. I see myself wearing it a lot with skirts and dresses during the summer. I’d also love to find a solid moto jacket at some point in either a neutral or jewel tone. Grey crinkle material skirt: I used to have a skirt that was almost identical to this one, but I lost it in an alterations casualty a year ago. I foolishly attempted to basically re-make the skirt by narrowing and shortening it, but it didn’t work out. I should have left well enough alone because I really liked the skirt as it was. I was listening to other people’s voices (who told me I should wear shorter and slimmer skirts) over my own, and I ended up ruining a favorite skirt as a result. Well, I missed the skirt terribly and tried in vain to find a suitable replacement for a full year! I was thrilled to find a virtual duplicate of my ruined skirt on eBay last month and happily scooped it up. I look forward to wearing my new/old skirt a lot this summer! In addition to the clothing items mentioned above, I also purchased a pair of summer weight pajamas last month. Since I’ve pared down my sleepwear items quite a bit this year, I was happy to find pajama pants that were long enough for my “giraffe legs,” which is no small feat! I will continue to place attention on the often neglected areas of my wardrobe when I shop, including undergarments, workout wear, and sleepwear. I want to feel good in everything I wear and I definitely have room in my clothing budget to address all areas of my wardrobe! I generally don’t share the accessories I buy each month, as they are not included in my item limit for the year (but they are included in my budget). In addition, I really wasn’t buying many new accessories since I started this blog last January. However, over the past couple of months, my accessory buying has increased, so I feel it would be helpful to be accountable for those purchases as well. So for the rest of this year (and possibly beyond), I will also share the accessories I buy in my monthly accountability updates. I considered instituting an item limit for my accessory purchases, but my ultimate goal is to move toward fewer rules instead of more restrictions on my shopping. My hope is to get to the point at which my values (for higher quality pieces and a smaller and more cohesive wardrobe) will govern my shopping rather than a strict set of rules and edicts. So instead of implementing yet another rule to restrict my accessory buys, I will simply be accountable to you (and to myself) for what I buy in this category each month. In some respects, the commitment to be accountable has been more helpful to me than my rules. Knowing that I will have to “spill the beans” about what I buy each month – and explain the rationale behind my purchases – has been extremely helpful to me in controlling my overshopping. Blue inlaid stone earrings – These were a gift from my mom as a thank you for helping her after her hip replacement surgery. I told her that a gift was not necessary, but she ended up sending me these earrings last week anyway. I love the blue stones and I know I’ll enjoy wearing the earrings with my cobalt and black garments. Turquoise and brushed silver earrings – I bought these at my favorite jewelry store in Lake Tahoe, which is also where my mom purchased the earrings above. I always buy at least one or two pieces of jewelry whenever I visit this store, as they carry pieces that I just don’t see at the mall stores. I have a bracelet with the same brushed silver beads (albeit larger) and I love turquoise jewelry, especially with black or white clothing. Green metal earrings with bird design – These earrings were also purchased at the Tahoe store, and I love the color and design. The earrings are also very lightweight, which is a definite plus. I often like larger earrings, but don’t want to have to get surgery to repair my already stretched out ear holes. I’ve heard such surgery is expensive and the recovery is lengthy, so I’m avoiding heavy earrings in the hope that I can also avoid going under the knife! Silver lattice design earrings – I bought these at a boutique close to where I live and they were somewhat of an impulse buy. That said, they were very inexpensive and I’ve already worn them twice, so I don’t regret the purchase. I added these four pairs of earrings to my jewelry collection in May 2014. Purple crinkle scarf – I don’t wear scarves as much as I used to, but I still enjoy wearing them on occasion. As most of the scarves I have are patterned, I wanted to add a couple of solid scarves to my wardrobe. I love this purple color and I feel it looks good with my complexion and hair color. Zebra print scarf – I already have a zebra print scarf, but this one is of a much higher quality (I plan to purge the lower quality scarf). I like to wear animal print on occasion and I love that this print is black and white (my favorite). White scarf – I’ve mentioned wanting to add more white to my wardrobe. While I’ve been on the hunt for a white top with special details, I’ve yet to find one that isn’t paper thin and of questionable quality. However, I did find a nice white scarf that can help to lighten up some of my ensembles. I added these three scarves to my collection in May 2014. As specified in my shopping and wardrobe goals post, the maximum number of items I may purchase during 2014 is 38 (half of what I bought last year). As of the end of April, I had purchased exactly half my limit (19 items). Because I made one return during April (for a refund), I was allowed to buy three new items in May instead of my new limit of two. Amazingly, however, I only ended up buying two new things last month! I also exchanged the black sandals I bought in April for a new pair in May, as I shared above. So, as of today, the number of new items (clothing and shoes) that I’ve bought – and kept – this year is 21. That means I may purchase 17 additional items this year. Since I didn’t buy three items during May, I’m going to allow myself to do so in June. I hope to find a black maxi-dress, a special white top, and a brightly colored skirt. Alternatively, I may opt to purchase one of the shoe options on my shopping priorities list and/or a pair of summer casual pants (since the ones from Anthropologie didn’t work out). It all depends upon what I’m able to find… Sometimes it’s easier said than done to find certain items, but my shopping has been far more effective since I started being more targeted in my approach. Yes, I still make mistakes, but my track record has vastly improved over previous years. My budget for clothing and related purchases (shoes, accessories, alterations) for 2014 is $3000. My May budget was $250 (that’s my budget for all months except December, when I can spend up to $400). I spent a total of $293.70 last month, which exceeded my budget by $43.70. However, since I was under my budget by $67.91 at the end of April, I am still doing well with my budget for the year. While I often report on what I wore the previous month and share my favorite outfits in my accountability updates, I’m going to push that out to a separate post since this one is getting so long. Since I’ve been thinking deeply about my current style and how I’d like to see it transform, I have a lot to say on that topic. In the interest of not writing a post of epic length, I’ll save my style thoughts and outfit photos for a later post (likely at the end of this week). I will also update my shopping priorities list for 2014 in that post. It’s helpful to list everything you buy in a given month, as well as your reasons for purchasing each piece. This can help you to better understand your motivations for buying things, as well as what items worked well for you and which ones were basically purchasing mistakes. The same is true for the items you purge from your wardrobe. Listing your reasons for releasing each piece can help you to better understand what types of items you should steer clear of buying in the future. When paring down your wardrobe, it is often a good idea to do so gradually, as many of us have a “closet set point” which takes a while to recalibrate. If we let go of too much at a time, we may feel compelled to go out and shop in order to restore our closet to a level that feels more comfortable to us. Don’t settle for less than what you really love when shopping. If you buy a lesser version, it’s very likely that you won’t end up wearing it often, if at all. It’s better to hold out for something that’s an “8” or higher on a scale of 1-10, even if it takes you a while to find it! Don’t neglect any areas of your wardrobe! We often focus our shopping on the clothes we wear outside the home and things that other people will see, but the “hidden” areas of our wardrobes need addition, too. We all deserve to have well-fitting garments we love in all of our closet categories, including undergarments, sleepwear, and workout/lounge wear. If you have a tendency to buy a lot of accessories, it can be helpful to list everything you buy each month in that category as well. Writing down all of the accessories we purchase can help us see patterns which may or may not be serving us. If we buy too many of the same types of things, seeing the evidence in writing (or photos) can alert us to those tendencies and help us to shift our behavior. Using a shopping priorities list can help to target your shopping and assist you in avoiding buying mistakes. It’s also helpful to decide on what you plan on purchasing (both in terms of specific items and how much you’ll spend) during each given shopping trip. While you may not find what you are looking for, narrowing your scope will help you to avoid the types of impulse buys that you’ll often end up regretting down the line. Even if you hate rules and restrictions, imposing limits on your shopping can be beneficial as you’re learning to shop less often and more wisely. You may eventually want to shop “like a normal person,” but as you’re learning to build new habits, having rules in place can be a good idea. You can loosen the restrictions later after you shift your shopping habits in a positive direction and feel more in control of your buying. Well, that’s it for this post! Yes, it was a long one, but I hope you found it interesting and derived some value from it. By the way, I really loved the discussion that resulted from my last post on wardrobe “basics.” Not only did I learn a lot from the various perspectives shared, I’ve been pushed to re-think many of the notions I have about closet staples and their role in my ideal wardrobe. If you don’t generally read the comments on my posts, you might want to take a look at the responses to my “How Many Basics Do We Really Need?” post. They’re that good! If you want to comment on this post and are reading this via email or through a feed reader, click here to share your input. ← How Many Basics Do We Really Need? The moto jacket is a great choice to move your style ever so closer to edgy. Still with the stripes you love. I completely agree on the purge speed and ‘set point’ particularly as we get closer to our ideal wardrobe size. I can’t tell you how many times I’ve chased after the perfect replacements for XXXX, when it was really just time to move on, not replicate the past. This is part of relearning a lesson again and again until we get it. I do see a very similar vibe in your jewelry choices, but I understand vacation purchases can be not the norm. I am at 24 items, and am taking the month of June off from shopping. All I really want for summer is olive shorts. I had to purge my standby’s of almost 10 years a couple months ago and am feeling the hole. I had a spate of May purchases (many birthday gifts, but I still count the number of items) much as I did in January for Christmas. Here’s hoping I/we succeed in hitting our numbers by years end!! I noticed the moto jacket too. How funny, since I was just commenting on my new knit moto jacket in the last post’s comments! Debbie, I think our favorite colors are the same too- I have so much teal! I hope you will find those olive shorts soon, Mo! I know how hard it can be to say goodbye to a wardrobe standby, especially when you aren’t sure when you’ll find a replacement. I’ve had some things on my list for a while, but I’m trying to be patient instead of snapping up a less than ideal version. Best wishes with your June shopping fast. I don’t plan on counting gifts I receive toward my item limit, but I don’t get all that many (my birthday is in August). I’m glad you like the moto jacket, Mo and Sarah. I remember your comment about the knit moto jacket, Sarah. I was very happy to be able to find one! Often, moto jackets look too boxy on me, but this one fits perfectly without any alterations needed. Also, it looks good open as well as closed, whereas many moto jackets must be worn closed to look good. I still hope to find a solid color moto, as I have a lot of printed dresses and skirts. I know I will wear the striped one a lot, though, and I love it! I’m also an August birthday, the 17th! How fun! 😉 Best month of the year lol! I love the moto jacket!!! It would look fabulous with a pair of white jeans. Thanks, Happy Forgiver! I would love to find some white jeans at some point, as I think they could be quite versatile. I am happy to see you found your grey skirt. I know you’ve been looking for a while. I had to chuckle when I read that you’d wear your new jacket a lot durning the summer. Here in blazing hot and humid Tennessee I think I’d like to wear ice packs 🙂 I bought 7 items this month. A blue MK top that I think I’ll wear quite a bit-good cut and color. An Anthropologie silk purple printed tunic that I love. A BCBG black printed blouse that I also love. Those three items are the good news. I bought a purple dress and a blue print top that I like, but I’m not sure how much I’ll use them. Then I bought two black and white tunic/top that I shouldn’t have and I can’t return. That brings my year total to 30 items. I spent 275.84, but I am under budget for the year by 100.34. I am doing well money wise, but have been buying too many things. I am also taking the month of June off from shopping so I can spend some time considering what is driving me to buy things I know I don’t need. Yes, it doesn’t get very hot where I live, Tonya. Sometimes I wish it would get warmer, but I know I should be careful what I wish for! I still wear jackets a lot during the days in the summer and especially in the evenings, which are almost always cool near the coast. Congrats on being under your budget! The item limit is tougher for me than the budget, too. It sounds like you got some nice things (but bummer about the two tops you can’t return…), but I think it’s good that you’re spending some time considering what drives you to buy things you don’t need. I’ve been making notes about my shopping motivations (when I want to shop, even if I don’t actually do it), too. I think it’s helpful for us to increase our awareness so we can learn alternate ways of coping. Best wishes to you and please keep me/us posted! This is a great idea (making notes about the urge to shop). I’m taking this on as a challenge and will do this for the month of June, thank you for the inspiration!!!! Tonya inspired me to do this, too! I’m learning that I tend to shop or browse online (or even do things like re-organize my closet) as a way to procrastinate from doing things I don’t want to do or don’t know how to do. Of course, that’s not my only motivation for shopping, but it’s one I wasn’t really aware of before! I look forward to reading about what you learn about your shopping motivations, Meli! I always look forward to your accountability posts! I like all you purchases and especially love the moto jacket too. I hope we’ll be able to see a picture of you wearing it at some point. I had put myself on a shopping ban for May, but the weather heated up (it’s in the low 30s (Celsius) already where I am) and I just couldn’t help myself. A few shopping trips later and I’d bought a total of twelve new items…. In retrospect May was probably not the best month for a shopping ban. I might be better”allowing” myself to shop for summer clothes early in the season and then having a non-shopping month or months somewhere in July/August/September. This is something I need to think about. The good news is that I’m happy with my purchases. Taking the advice of you and the commenters, I narrowed down my colour palette, made a list of what I needed/wanted, and kept a picture in my head of a certain aesthetic I’m aiming for. I was also particular about fit when trying things on. I thought this approach would be too limiting but it actually made shopping surprisingly easy! The problem now is that I’m suddenly dissatisfied with a number of items I already owned, either because they don’t fit my color palette or aesthetic, or don’t fit as well as I would like. Something else to think about! It’s amazing how much easier acquiring clothes is when choice is narrowed down by color, style, fit, price point, or whatever. (Most people just use price as a filter.) I NEVER look at anything in a color that’s not in my palette or at clothes I don’t need. No wandering around the store! If there aren’t clothes in my colors, I stay home or buy on line to find what I need. With a clear plan in mind, the process of buying is focused and less time-consuming and potentially less fraught with “mistake” purchases. You’re so right about colour palette, Dottie. I used to have terrible trouble making a decision when confronted with multiple colour choices, and while I wasn’t bad at selecting colours that suit me, my wardrobe wasn’t cohesive. I like your point about not using price as a filter. I’ve learnt that if our other criteria are well defined it makes it easy to know when we’ve found “the one” and not feel guilty about spending more on it (within reason of course) or be swayed by a “bargain”. Kayla, I agree. Dottie’s suggestions have been helping me all along, especially focusing on limits, quality and special details. 2 months ago I bought two shirts in the exact same color- and they were both sleeveless (even though they had different silhouettes)! Now I’m concerned I’m going to get bored of this color. So I made a new rule for myself: no buying multiples of a color. I can always go back and get it later if I find a true wardrobe need. The only exception I make to this is my basic black tees- I love them and wear them so often that I went back and picked up a second. But I was proud of myself for not getting two in the same trip! I know what you mean Sarah. I admit I’m slightly concerned about getting tired of my colour palette. I also have a tendency to want to buy multiples of a colour or style when I find something I particularly like, and like you I’ve decided to stop doing this unless I find a true wardrobe need later. I’ve been wearing the same colors for about 30 years and have yet to tire of them. I think if the colors you wear are truly “your” colors, then the uplift you and complement your hair color and skintone. But I am just old enough to have grown up with the expectation of a small but servicable wardrobe that will carry you through years and years of wear– which is what I have. (I also limit what I buy to a silhouette and design details that works best for me.) I have a bit more black than any other color but I’ve limited my purchases to one item per season or for use in an accent color like icy pink ( a very white, palest pink). I have an icy pink dressy silk blouse, an icy pink casual l/s tee and an icy pink dressy/casual s/s tee. Same with light gray, medium blue, icy blue, white, red, etc. No multiples to fuss with or lose sight of. I rely on accessories for updates, fun, extra color or pattern, etc. Dottie, I’m glad to hear you haven’t tired of your colours. It seems that our colour palettes are very similar, the difference being that mine has mint green rather than red (I have a terrible time finding reds that don’t wash me out…). Pale pink has always been my favourite colour and the colour that uplifts my skintone, and I like blue because it brings out the blue in my eyes. Mint green is new to me this year and so is still a something of an experiment. Anyway, it’s fascinating to hear how your structure your wardrobe. Thank you for sharing your wisdom! This is a great thread with lots of helpful advice! I love the comments you all make… Kayla, I did a shopping “fast” last May and ended up buying too much in June. I think you’re right about allowing yourself to buy at the beginning of a season and then pulling back later in the season. That seems like a solid approach, as is limiting your color palette. I agree with Sarah E about not buying multiples of a color, at least during a given shopping trip. She saw that she wears black tees a lot, so it was worthwhile to get a second. But I have often thought “more is better” and regretted it later (as you can see from my outcasts and downgraded items). I wash all my clothes on the permanent setting in cold water and use a cold water detergent or (for sweaters and knits on the gentle cycle) a product like Woolite (Woolite Dark for black stuff and jeans — always washed inside out). I air dry all lingerie (it gets washed in a lingerie bag after one of the eye hooks of an expensive but brand new bra got caught in the drum of my washer and was twisted and totally ruined before I ever had a chance to wear it. (TIP: Always wash your newly bought clothes before wearing. I speak as someone who works in retail. Always wash your stuff before you put it on your body.) I don’t use a rack — I used to and got weird line marks on the back of my clothes. I use a combination of cheap plastic hangers from a store and these inflatable hangers to air dry nearly all my clothes. (I machine-dry jeans — inside out — and pants on a gentle or permanent setting.) I wish I lived in an environment where I could line dry clothes outside but I live in the center of a grimy city. I’m curious about why you recommend to always wash new clothes, but I’m not sure I really want to know the answer. I think I’ll just start doing it! When you say wash on the permanent cycle, do you mean permanent press? I never really understood what that means, so I always wash on the normal cycle in warm water. But I definitely want my clothes to last longer and I know you’re an expert on that, so I will heed your recommendations. I always wash my bras by hand and I hang most of my clothes to dry, mostly because I don’t want to loose any precious length in sleeves, legs, etc. I’m always lucky if I can find things long enough. I know what you mean about the line marks on clothes from the drying racks. I get those sometimes. I think I’ll pick up some of the hangers you recommended. Great tip! I’ve noticed an increasing trend by women of all ages — preteens to grandmotherly types — treating clothes like a disposable commodity — in the store! Clothes are left in piles on the floor of dressing rooms, etc. Some people don’t wear undergarments when trying on clothes — swimsuits, jeans, whatever. I always wash (or dry clean if need be) new stuff. Plus, some clothing (jeans, for example) are over-dyed and the dye will rub off on lighter color clothes without a wash first. Yes, I meant “permanent press” (I need to proofread my replies!). This cycle is a bit gentler that “Normal” which I use for sheets and towels. I use cold water for everything and have for a few decades. Helps to keep my gas bill down if I don’t have to run my water heater when I do laundry. Love these accountability posts Debbie! I think that moto jacket will work great with your wardrobe. I liked Dottie’s comment above, “I never buy more than one tee in a single color.” One of my issues is that once I find a tee that I love and that’s in decent quality, I will often buy another for later in case I can never find it again. Case in point, an EB scoopneck tee in teal/caribbean blue similar to one I see in your post. It sits in my drawer still wrapped in its original plastic. The teal is in my limited palette and I will wear it eventually unless my weight changes. Going forward I shall force myself to stop buying more than one of any item. I have the same issues with tees, Kim, which is part of why I’m hesitant to purge many of the ones I have. It seems that the quality keeps going down more and more, so I worry I won’t be able to find something in the future that will work. Even so, buying multiples usually isn’t a good idea, as our tastes change as well as our bodies. Also, the same tees may not be of the same quality that we remember. I’ve worn EB tees for years (scoop and v-necks), but I’m not happy with the recent quality. They seem to stretch out a lot. Land’s End tees have been recommended by various readers so I’m going to try those the next time I need to buy tees (mostly for workouts and walks). Like you, I’m going to force myself to stop buying more than one of any item! I’m curious, Dottie. Why the recommendation to wrap clothes in an old pillow case? Is that to protect it from bugs or other potential damage? Good tip about removing plastic and tags. I’ve had trouble getting sticker residue off in the past, too. I’m definitely a stickler about the types of details others don’t notice. I will complain about aspects of my clothes and my husband always shakes his head. But I want things the way I want them! I have some vintage clothing (two dresses of my mother’s) and quilts that I keep stored wrapped in old white 100% sheets and pillow cases. Fabric should NOT be stored in plastic bags or paper — the paper can result in acid migration and leave a stain and the plastic can also discolor over time. People who have quilt collections or other collections of fiber materials like clothing generally store them in 100% white cotton or in acid free conservation boxes. Fabric can also be damaged by excessive exposure to the sun. What you said about purging speed and set point really resonates with me. I just did a big closet clean out and I do feel the need to “fill it” again, which has lead to some unsavory shipping behaviors lately. It’s like 1 step forward and 2 back :-/. Recognizing this has even helpful though – I think I will try your suggestion of a more slow paced closet cleaning that won’t make me go into crazy shopping mode! Also, I going to start writing down all my purchases this month. It’s something I have never done, despite having a budget and sticking to it. I am good about not going over budget (most months!) but I have never really analyzed my purchases. It’ll be a good way for me to connect with my shopping and spending. Chelsea, a suggestion for you. I use a spreadsheet to track all my purchases, and when I receive the item I evaluate it on a green/yellow/red scale, which to me means a good purchase, an OK purchase, or a bad purchase. If you want to get really fancy you can use lighter and darker shades of these colors as well. I then fill in the spreadsheet cells describing the purchases with these colors so I can see at a glance how many mistake purchases I’ve made for the year. It also helps tally up your budget as you go. That’s a good idea! I might do a pared down version of that in my day planner and mark it with highlighter colors instead. I love the concept though and it would probably let me see what purchases were worthwhile. How do you evaluate you purchases? Happiness with them? Times worn? What are some criteria you use? I’m glad my thoughts on closet set point resonated for you, Chelsea, and I’m glad you’re going to start writing down your purchases. It really CAN help a lot to increase awareness and shift shopping behavior. Why not put something else in your closet — like a dresser or chair or bookcase or new shoe cubbies? I once lived in an apt. that had a small bedroom and large walk-in closet with two tiers of hanging racks. I didn’t need all the closet space for my hanging clothes but there was room for my large antique dresser and mirror, and it not only filled the closet nicely but freed up valuable floor space in my bedroom. For my current house, I’ve painted the inside of my closets a dark red-orange (a favorite color but not one I can wear). This color visually shrinks the space and makes the closet cozy and, well, dressy. I’ve added shoe cubbies and store my scarves and some accessories in the closet. It’s very well organized but not overly filled with clothes I don’t need. Another vote in favor of the striped moto jacket! I’d love to hear more about how that piece works out for you once you’ve worn it a few times, seems like a very good choice for the direction in which you are hoping to take your style. Recently I’ve been tracking what I wear daily and also making a note of when I wish I had a certain item to complete/improve an outfit — both strategies inspired by your blog, I think! Those “what I wish I had” notes form a kind of loose/shifting shopping priorities list for me, and having this list has been very useful, I think. The risk, of course, is that what I am wishing for this month may not be relevant or desired next month. I realize that. But it’s been kind of a revelation to build a shopping priorities list based on *what I am actually wearing* rather than a more abstract notion of filling gaps in my closet. Thanks as always for your thought-provoking posts! Sarah, I also keep “wish I had” notes. If I find myself wishing for something over and over it’s a good indication of a wardrobe hole. I also prefer the idea of the rules we set being the mold we shape ourselves in, so eventually we can break out of the mold well-rounded! I however think I need a lot more molding before I can do so. I probably do, too, Meli. I like the way you put it about breaking out of the mold well-rounded! I’m just becoming aware of the fact that I don’t want to have the rules indefinitely. I’m hoping to be able to pull back from them next year. I have striped moto jacket envy! What a nice piece. Debbie, I came to your blog midway through the two month process of weeding out and sorting my clothing by season. I have gotten some great tips, and I plan to buy your eBook too. One of the recent revelations you got me to thinking about is what kind of neckline favors me more than others. It’s simple, a v-neck or trapeze/cutaway style. A high crew neck is awful on me and a boatneck is bad too. Generally fitted is better than not, though I’m not sure the trapeze style could be called fitted. The only crew neck I can wear is a lower crew, almost a scoop. So now I can take this information to go through my nicely organized (though still probably too large) clothing collection and do more weeding and downgrading. Speaking of downgrading, being so organized with my clothing now I was ready to jump into summer wear as of May 15. This is the earliest possible date I can see wearing summer stuff where I live. Lo and behold I discovered rather quickly that two pair of capris which I have for dress casual really need to be downgraded to around the house wear. Had I not been so organized it would have probably taken me until late June to dig out these capris and wear them, and then another month to figure out why I didn’t like them as much as last year. Yay for being organized! I’m glad everyone is liking my new moto jacket, especially since it’s a step in a new direction for me. I’m also happy that my blog has helped you with better managing your wardrobe, Holly. Yes, it helps to determine which neckline(s) are most flattering on us. I can only wear the lower crew-necks, too. Congrats on being ahead of the game with your summer wardrobe! Love the honesty! I really think pairing down our wardrobe gradually instead of in onw big swoosh is the way to go. I am down to 124 items (including shoes and bags) and notice it gets hard around these numbers. There are things I think I “need”, yet I still have hardly worn items that I somehow love too much to let go. Probably the number is about right, only a tad high, but the quantities of different items (dresses vs. pants vs. tops etc.) are not correct, which is why I still end up missing things. The biggest thing I have already learned from you in this short time of being a reader, is accounting for all my purchases, posessions and rejects. I find myself not wanting to buy less than perfect items, because I have to then face having them up my overall number of clothing. I also find myself not wanting to buy expensive items frivolously, as I know later on I could spend the money on something that fits perfectly. In some previous post you have mentioned that earlier you wanted to hide your shopping from your partner, but nowadays can proudly show off what you have found. I recently had my first experience in a loong time where I proudly came out with an expensive item and – had my husband be proud of me too! It was a much needed, practical yet adorable jacket, which I bought with the money I had earned selling my reject clothes. Yay! I still have more items than you do, but I can relate to what you wrote about having a good number of pieces but not necessarily the right numbers of various categories. I still have too many tops, but a lot of them I’d really like to replace with different versions. And I definitely need more pants! It’s a process, but it sounds like you’re doing well. Your posts are always good but this one was especially fun to read. I actually said “Yes!” out loud when you described why you didn’t get the Anthropologie pants, why you swapped out the “so-so” black sandals for the “good” ones, how you released the well-loved but worn out navy jacket, and how you joyfully replaced the favorite gray skirt that had been mis-tailored. Even better were your purchase decisions. I can really see you incorporating new elements within the context of your essential style. So yes to the fab moto jacket with its edge, but in a palette and stripe that you already know looks good on you. Yes to the better sandals, less plain I notice, and with some embellishment that seems new for you. In short, this post shows very well thought out subtractions and additions to your wardrobe. It’s inspiring, Debbie. Thanks for sharing your journey with us! Thanks for all of your encouragement, Amy! I’m gradually making progress as a result of all of the introspection and feedback from my wonderful readers. I feel like I’m finally making better choices. It took me a while and I’m sure I’ll still make mistakes, but I feel like I’ve turned a corner not long ago. I too enjoy reading the “why” something does/doesn’t work. I usually have these internal conversations in the store or before I go shopping: (Will the sandals be too clunky and scream “old lady”? Does their arch support outweigh the clunk factor? I said yes, and bought them but I had already decided with which pants/skirts I could and couldn’t wear them in the STORE because I thought this through as I made my annual clothes purchase plan. And I think about things like heel height, strapping, grippiness, and comfort before I set off to the store. I generally return clothes only because of some failure, like last year’s black tee that stretched out after my post-purchase was on gentle cycle in cold water. I seldom return clothes because they don’t fit or have the wrong neckline. I worked out the neckline issue years and years ago and I only buy clothes that fit in the store (or with minor adjustments like hemming pants). Time is too valuable to waste it on buying stuff that has to go back to the store. I HATE retracing my steps, undoing something I’ve already done. Your internal dialogue sounds like a lot of mine, Dottie. I’m always worried about the “old lady” factor, especially with shoes. I hope to improve my internal dialogue before and during shopping so I can virtually eliminate the need to return things. As it is, I return FAR less often than I used to (it used to be half or more! ), so I get what you wrote about wasting time! I spend a lot of time in front of those little shoe mirrors. Me, too, and I try to wear what I’d be wearing with the shoes in question when I shop. When I shop for shoes I want to wear with skirts and dresses, I wear a skirt or dress whenever possible. When I don’t do that, I’m more likely to make a mistake. 1. It sounds like you have a lot of home/gym/lounge clothes. Are you sure you’re not using that category to hold on to stuff that you’re just not ready to let go of? 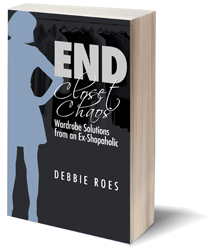 Have you set boundaries on how much clothing you can keep in that category at one time? 2. You’re right that you have so many rules for shopping, and I wonder whether the monthly dollar amount does you any service. I understand the point in keeping a yearly one (I would buy ALL THE CASHMERE if I didn’t have one…but I live in the Great White North!) but now that you’re limiting the number of items on a per-month basis maybe it’s superfluous to have a dollar amount as well. Thoughts? Yes, I do have a lot of home/gym/lounge clothes, Sara, but they do get worn a lot. Plus, I’ve purged a lot in that category, too, as things just don’t hold up as well as they used to. I don’ t have a limit to how much I can have in that category, but I do report it in my clothing inventory (I will do another one at the end of the month). As for the budget, you made some good points and I would eventually like to do away with the monthly dollar limit. I discussed it with my husband a while back and he was hesitant to remove that restriction because of my past behavior. But maybe we can revisit that soon, as I agree that a yearly limit may be a better approach. Thanks for the tip on the Old Navy pants. I will check them out, as I am definitely still looking for pants! Good for you for spending so little during May and for knowing yourself in terms of jewelry. If you get bored quickly, why spend a lot on these items? Wow, Debbie, only three new clothing items! That is great work. Although, just to be nit-picky, I can never quite follow why some things “don’t count”. Still, if you’re happy, that’s great, and it certainly is wonderful progress. I actually didn’t buy any new clothes items in May. You’d think I’d be proud of myself, but no. I went full-on back to another of my addictions – skin care. I spent well over $300 on lotions and potions, some of which just don’t work for me as they break me out. Oh well. If it ain’t one thing, it’s another. Slowly I will learn to curb the overconsumption. Still, I have found that not bringing anything new into my wardrobe has led me to look a bit more critically at what is already there, and I am getting ready to do some more purging. I’m feeling pretty good that I’ll be able to release quite a few things this time around! Congrats on not buying new clothes in May, but I understand about the other buying compulsions we can have. It’s like me with the jewelry since I had decided not to include that in my item limit. I’ve had issues with overbuying cosmetics and skin care products (and hair care items), too. I think it’s often more about how the buying makes us feel and what it allows us to avoid than about the individual items. At least that’s true for me, although I haven’t always realized it. It sounds like you’re becoming more aware, which will only help you in the long run. It’s not a linear path to recovery, but recovery IS possible! Your recovery tips are very practical and I intend to start using them. I’m going to to track what I purchase and why and do the same with what I remove from my wardrobe. I think it will be a real eye opener and very useful to look back on. You are so right about slowly removing items bit by bit from my closet. It’s really helping me to realize which pieces I wear because they are there and which ones I truly love to wear. Slowly I’m able to let go of the not so favorite pieces and feel even better about what remains. Bye bye place holders and hello to a more curated wardrobe. I recently added a beautiful night gown and matching robe in satiny fabric and pretty color that make me feel wonderful and elegant. It’s a long overdue need that was a treat for myself. Like you I have demoted most of my T shirts to exercise or garden wear. They were still good but I’m really not much of a T shirt person. I do keep a running list for my wardrobe and household items. I’m finding that with buying fewer items of clothing I’m enjoying replacing other household items such as luxurious new sheets, simple pleasures and the luxury of quality. I’m glad you found my tips helpful, Annette. I look forward to hearing how it goes for you when you use them. I’m happy you’ve been able to let go of “place holders” and curate a better wardrobe for yourself. I’m working on doing the same, as I never really enjoy wearing those place holders anyway. Yay on the new nightgown and robe – sounds beautiful! I think a lot of people neglect their sleepwear and other lesser seen (by others) areas of their wardrobes, but it’s important that we feel good 24/7, not just when we’re out and about! One of the benefits of thinking through why items do/don’t work is that this information gives a lot of insight into clothing preferences, style preferences, and color preferences. Ex. : Decades ago I used to wear khaki pants as a casual pant because they were “dressier” than jeans, and because my sister did and she looked great in them. I looked awful, so I bought a single pair of great jeans which I replace every few years or so. My sister has no jeans — she only wears khaki pants as a casual pant. I still like the look of khakis — on other people. I think there is greater joy in having fewer clothes because when you get the right piece of clothing that flatters and makes you happy — well, it’s a good — no, great — thing. Keeping some kind of record (selfies in the clothes that work, charts, lists, whatever) is very helpful. I have a very good visual memory — and a handy back-up chart. Great insight on the khaki pants, Dottie. I had a similar experience and found that khaki pants don’t work well for me, either. There are a lot of styles of clothing that I like on other people but not on myself. I used to try too hard to make things work because they were “in” or because they were supposed to be “staple garments.” But why do that? I am leaving the “dark side” and coming around to the light. I can truly see the value of a smaller wardrobe now. My wardrobe still seems too big, but I’m letting go of things at a pace that works for me. I agree about keeping a recent of what works and what doesn’t work. Selfies can definitely be helpful, as well as charts and lists (you know I like those…). The process you are going through is truly valuable because in the end you will KNOW what works for you and what doesn’t — and won’t get drawn in by what “fashion” says you should wear. Or by what your friends say you should wear. Or by what you admire on other people. I’ve been through a similar journey, just a few decades ago. In the end you’ll find that fewer clothes but the RIGHT clothes carefully selected will see you through for all occasions. Plus a little updating and fun with accessories! On my spreadsheet that lists clothing, shoes, and accessory purchases I list the “fate” of items (why I got rid of something) but I never thought to write why I purchased it in the first place. I’m glad my tip was helpful for you, Emmy. Yes, it IS eye-opening to write why we purchased things in the first place. I’ve been writing all of this in my blog posts, but I’m thinking I should do it in a spreadsheet, too, like you do. I have a spreadsheet of all of my clothes, but I need to update it. I think I’ll add another column for “reason for purchase.” That way, I will have everything in one place. Thanks for helping ME! Love these posts Debbie! I love how by looking at your clothing purchases, they LOOK cohesive and like the same person owned them. These posts are so fun! I’m glad you found the skirt and better shoes, and the jacket is fabulous. There is not as much variety or versatility IMO with the blue earrings- they have a similar vibe/function and could be interchanged without a great difference, but they ARE pretty and the color works well in your wardrobe. I personally would have done 1 of the 3 and done different colors/styles in other pairs but that’s me! I did read and enjoy your book! I’ll post a review sooner or later 😉 keep writing! Can’t wait for the next one! I’m glad my clothing purchases look cohesive, Meli. That’s what I’m aiming for, after years of it being all over the place! As for the jewelry, I didn’t know my mom was going to buy the blue earrings for me. If I had the budget for them (they were expensive), I probably would have just bought those and not the other two. My mom sent me the earrings after I was home and it was a surprise. The third pair of earrings are actually green and I don’t have anything like them, but the second pair is similar to other pairs I own. I just pared down my jewelry collection this weekend and will be writing about it soon. It was very enlightening! I also have noticed that I have a closet set point. When I purge too many items, or too often, I rush out to purchase more. Change takes time, at least for me. I’m happy to report I only purchased one item last month, and it was for sleepwear. In April I purchased too many items over my limit, so it was nice to help balance that out with only one new item in May. I’m hoping to also purchase very little in June. Let’s see if I can keep the momentum going. We seem to be very similar, Lisa, in terms of paring down our wardrobes. We’re both doing better with doing it slowly. I always used to rush out and shop a lot after I got rid of a lot of things in the past, but now I’m gradually adjusting to a smaller wardrobe. Good job on only buying one new item in May! I think it’s more “normal” to buy more things some months (like at the beginning of a season) and few or no things in other months. I’d eventually like to be the type of person who shops at the beginning of each season and buys very little otherwise. That may take a while, but that’s my end goal. I have a similar goal Debbie. I read once somewhere (cannot remember where) about shopping twice a year, April and October. I like the idea to purchase a bunch of items in one go (everything matches easier that way) and then not having to worry about it for a while. But I don’t think I will be able to do this, until I feel I know my style, my needs, my colors, and wardrobe holes. With a still overfull wardrobe, it’s going to take a while to sort this out. And that’s ok. I’ll always be able to find new things I like next season if I don’t this season. I only recently realized that I don’t necessarily have to shop everytime I see something new, because I always find something I like sooner or later. I always admire people who just shop at the beginning of each season a buy only a few things at a time. Like you, I hope to be able to do that eventually, but I’m still in a big style evolution phase after years of mindless shopping. You’re right that we’ll always find things we like sooner or later. 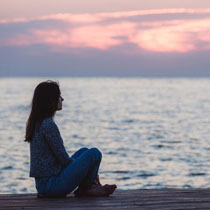 Fear of missing out (FOMO) is a big driver of overshopping, but I’m working on trusting that there will always be new things to love and want to buy.